One of the most common reasons women come to CAPS Pregnancy Clinics is to receive a nurse-verified free pregnancy test. A visit to our clinic can help alleviate any stress or uncertainty you may have over an at-home test, and give you peace of mind about your options. If you believe you’re pregnant, here are five reasons you should visit CAPS to get a nurse-verified pregnancy test. With a nurse-verified test, one of our CAPS nurses will read the results with you so you know for certain whether it’s positive or negative. Many of our patients come in after taking an at-home pregnancy test because they’re unsure of whether the test was truly positive. Sometimes the second line can be less pronounced, and that can often cause confusion. When you come to CAPS, you’ll have the reassurance of hearing your results from a nurse. If your test is positive, the nurse will sign and give you a pregnancy test verification (PVT). The PTV is an official document that can be used as proof of pregnancy for insurance purposes. Having the verification signed at the same time you find out your pregnancy test is positive saves you a step and helps you begin your insurance coverage sooner. One of the benefits to the nurse-verified pregnancy test is that it can often be accompanied by an ultrasound. If you’re between six and 24 weeks pregnant, you may be eligible to receive a free ultrasound and see the baby during the same appointment as your test. An ultrasound is truly the definitive way of knowing whether you are pregnant; all ultrasounds are read by a doctor. Since pregnancy tests can still read positive after or during a miscarriage, it is important to also have an ultrasound. During the ultrasound, we’ll verify that the the pregnancy is in the right spot in the uterus, take measurements to see how far along you are, and assess cardiac activity (heartbeat). You may be eligible to return for a repeat ultrasound and second medical visit with us. Whether the test is positive or negative, our patients often have several questions. Your CAPS nurse can answer many of the prenatal and first trimester pregnancy questions you may have if your test results are positive. For example, patients will generally ask us about how far along they are, nutritional information, combating nausea, insurance, doctors, and if what they’re experiencing so far is normal or not. At CAPS, we are experts in first trimester pregnancy and are more than happy to go over all your pregnancy options and questions with you. We can also provide you with prenatal education and a list of referrals for hospitals and OB/Gyn doctors in your area. CAPS is a free, confidential, caring environment. We know that learning you’re pregnant can be overwhelming, so we provide support and education during an often stressful time. You have several options and we are here to help you assess your situation. We want you to be able to make an educated, healthy decision in regards to your pregnancy. Our nurses and staff strive to provide you a safe environment to help you feel confident in that choice and your future. 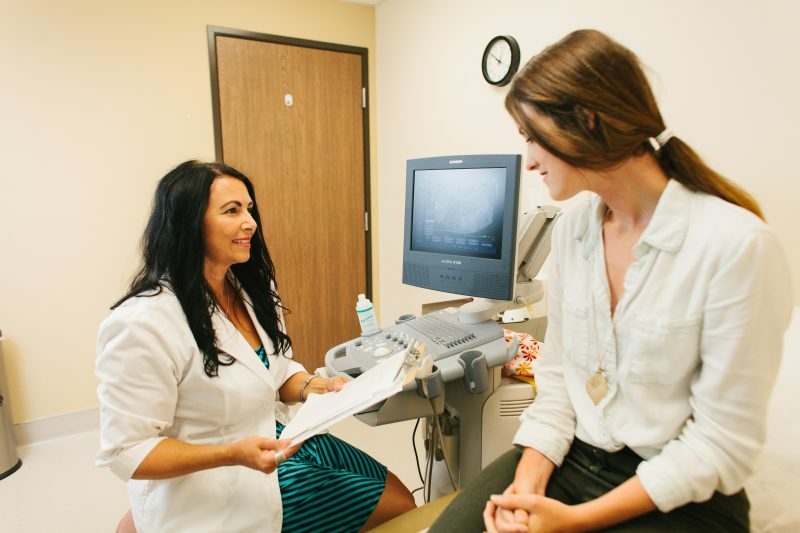 If you need a nurse-verified pregnancy test or have questions about pregnancy, make an appointment online or call us at 619-337-8080 to schedule an appointment at one of our three locations in Downtown San Diego, SDSU College Area, or Pacific Beach.